My goal for the last couple of weeks was to stretch my new growth when styling my hair each week. I have been trying various styles that I haven’t done in forever. 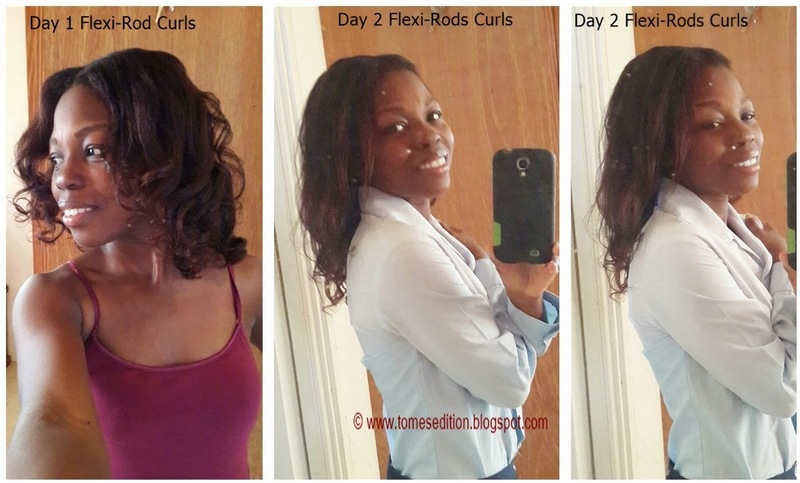 Firstly take a look at my flexi-rod set on day 1 and 2. After my flexi-rod set fell, I turned it into a twist and pin-up hairstyle. The following week I put my hair in 4 plaits to the front of my hair and 4 plaits to the back of my hair and left it in overnight. I wished I had added some flexi-rods or perm rods to my ends so they would look so straight and flat. 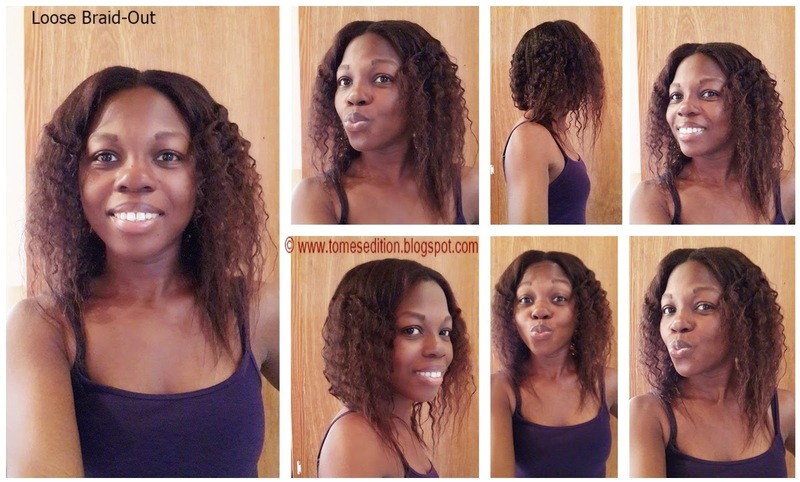 I liked the definition of this braid-out. 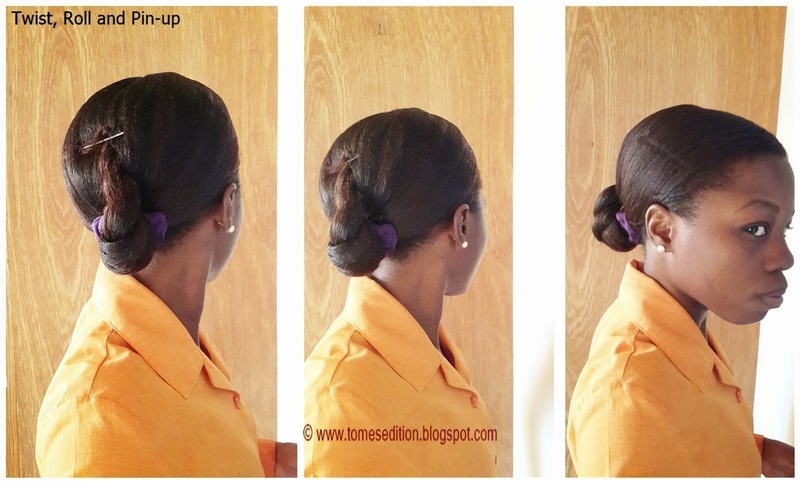 After my braid-out fell I turn that hair style into a twist halo braid. 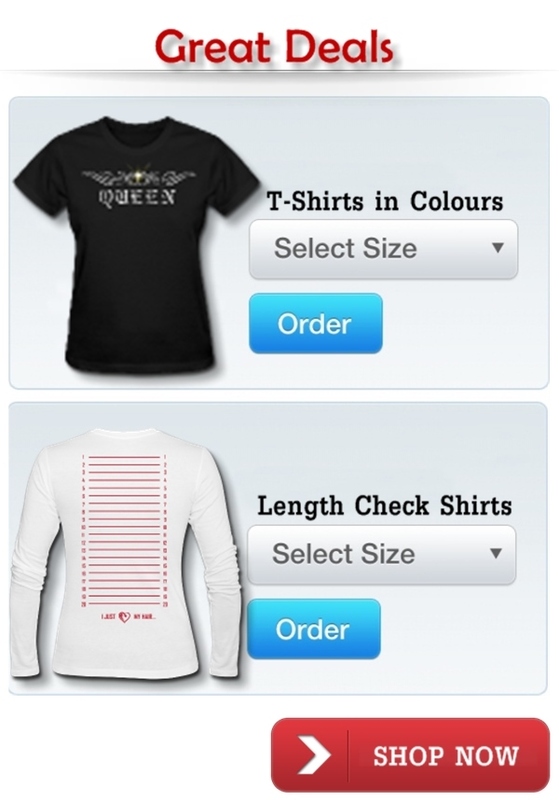 All of these styles were low manipulation styles. It was nice to wear my hair out free without tension pulling here there and everywhere. Please forgive the quality of these pictures, they were all taken by my phone because i'm always in a hurry on mornings. What New Hairstyles have you tried? Thanks Andrea, I'm trying to get out of the bunning as well. Your hairstyles look great, I rocked a twist and faux bun last week and most recently tried Bantu knots for the first time too. Thank you Hilda! I did BKO this weekend as well. I like all of them but the twist halo is my favorite. Great job at styling your hair and keeping the look fresh and new. Random: My log in wasn't working on my end on my initial msg so I had to sign in with name & blog url...now that my sign in is working....I'm good to go....just in case you're wondering why your photo showed up my name. 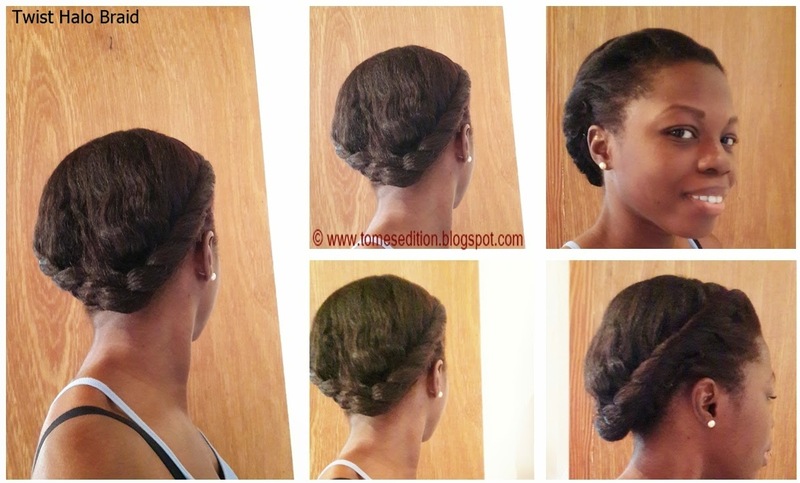 I love the twist halo braid, the perfect protective style.